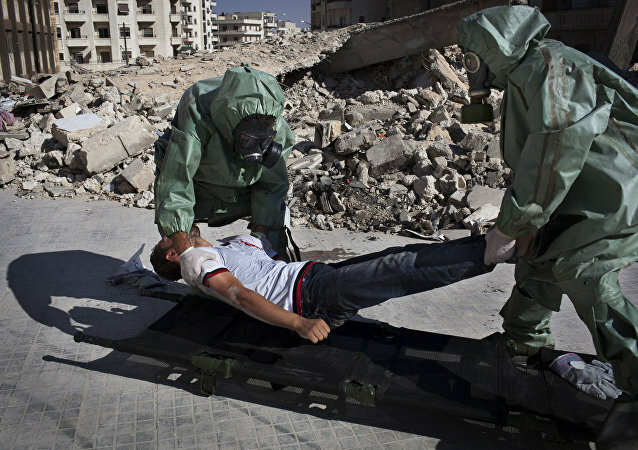 The Organisation for the Prohibition of Chemical Weapons (OPCW) fact-checking mission investigating the alleged use of chemical weapons in Khan Sheikhun in Syria's Idlib province has found traces of Sarin in attack victims' bodies, OPCW Director-General Ahmet Uzumcu said Wednesday. The Organization for the Prohibition of Chemical Weapons (OPCW) mission intends to continue checking all credible allegations of the use of chemical weapons in Syria and calls on member states to share relevant information, OPCW Director-General Ahmet Uzumcu said on Monday. Russia has already destroyed 93 percent of its chemical weapons under the Chemical Weapons Convention, as such successfully complying with its obligations, Director-General of the Organization for the Prohibition of Chemical Weapons (OPCW) Ahmet Uzumcu, said Tuesday. Russian Foreign Minister Sergei Lavrov said on Tuesday that he is planning to discuss Russia's initiative on combating chemical terrorism with Director-General of the Organisation for the Prohibition of Chemical Weapons (OPCW) Ahmet Uzumcu later in the day. OPCW Director-General, Ambassador Ahmet Uzumcu, said that an important chapter in the elimination of Syria's chemical arsenal was closed. 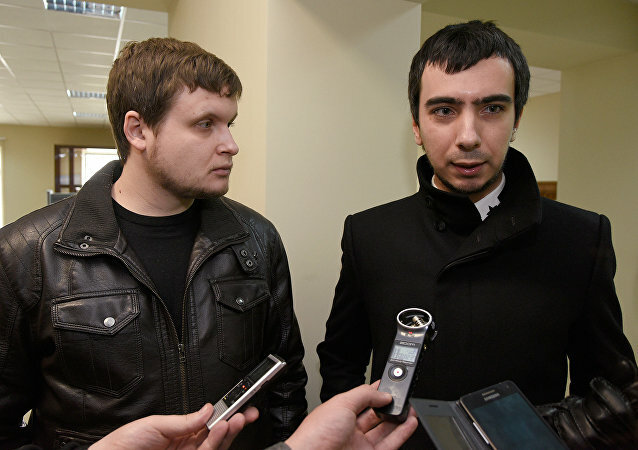 Organization for the Prohibition of Chemical Weapons director underscored the success of the OPCW-UN Joint Mission established in October 2013 on eliminating Syria’s chemical weapons. OPCW Director General Ahmet Uzumcu stated that the Organization for the Prohibition of Chemical Weapons was monitoring recent reports suggesting that chlorine gas might be used in Syria. Russia will send armored trucks to Syria as part of an international effort to remove chemical weapons from the war-torn country for destruction at sea. The international watchdog currently overseeing the destruction of chemical weapons and facilities in Syria said Friday that it had found more evidence of chemical attacks in the country. 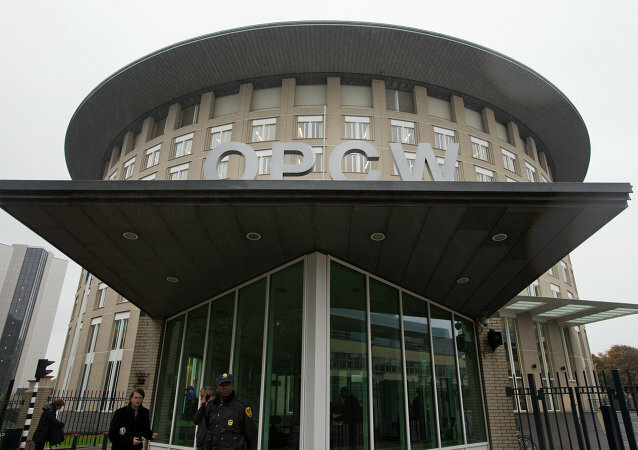 The international chemical weapons watchdog overseeing the removal of Syria stockpile of poisonous arms will next month double the size of its mission, the organization said Friday. The international watchdog overseeing the destruction of Syria’s chemical weapons announced Friday that it has adopted a program to eliminate the stockpile in the first half of next year, though the plan was dealt a setback earlier in the day when Albania refused a US request to host the destruction. A team of international experts working on a mission to eradicate Syria's chemical weapons has destroyed critical equipment at 14 sites in the war-torn country, the global chemical weapons watchdog said Monday. 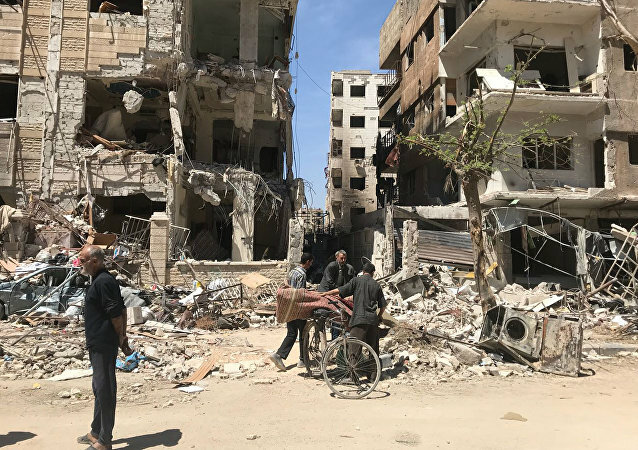 Experts from the global chemical weapons watchdog said Wednesday that critical equipment has been destroyed at six chemical weapon sites in Syria. The elimination of the Syrian government’s chemical arsenal by mid-2014 is realistic if all involved parties cooperate, including with ceasefires, the head of an international watchdog in charge of the task said Wednesday.